The federal Government of Nigeria has repatriated 242 migrants from Libya following several “save our soul” messages from migrants stranded in the country. 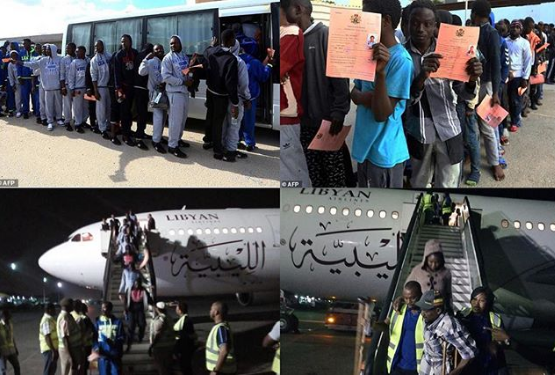 Nigerians, numbering 242 from Libya were returned to the country Tuesday evening. Federal Government had earlier in the week promised to intervene and rescue Nigerian migrants in the North African country. A recording artist, Nikki Laoye, was at the airport along with officials of National Emergency Management Agency, International Organization of Migration and National Commission for Refugees, Migrants and Internally Displaced Persons to receive the Libyan returnees. friends (a fellow migrant),” the artiste wrote as caption to a video she posted on her IG page.